What began as seemingly isolated showers in business markets has evolved to an economic storm that some experts predict will bring on a lengthy recession. In response, businesses worldwide are tightening budgets, cutting costs, and changing direction to weather the storm. But where should you cut, and where should you invest to safely pilot your company through these tumultuous economic waters? Remember—don't short change strategic IT investments. The crisis is creating new challenges for corporate officers and other business decision makers. The kneejerk reaction to cut spending across the board, however, can be counter-productive when it comes to reducing risks during economic slumps. Instead, strategic investments in specific areas can actually cut costs as they improve operational efficiencies, personal performance, and customer service. In fact, according to a recent McGraw-Hill study, companies that continue strategic spending not only outperformed non-spenders during a recession, but also experienced revenue growth of 275% during the first full year of recovery! • Maintain tight control of your finances and manage them with a high level of efficiency and accuracy. • Make complete up-to-the-minute financial information and reports easily accessible to anyone necessary to perform business planning and achieve regulatory compliance. • Simplify and automate routine and repetitious functions, so your employees can focus on more critical tasks to drive your business forward. • Increase efficiencies in distribution to improve customer satisfaction and reduce the cost of doing business. 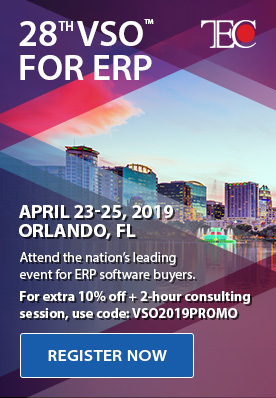 • Offer sophisticated communicative, collaborative, and self-service capabilities to make it easy and compelling for other companies to do business with you. • Maintain close contact with your customers and prospects to strengthen satisfaction and loyalty during down-turns. • Retain and win more customers and market share even during difficult economic times. • Centralize customer information for easy, reliable access to maximize your people's time. • Help your people recognize individual customer preferences and overall trends to seize more sales opportunities. • Provide automated and self-service options to customers to reduce costs and increase response times. • Identify your best customers so you can target efforts toward them. • Discover emerging customer needs and respond to them before your competitors do. • Better manage sales and marketing initiatives and track their results to optimize marketing spending. • Automate and streamline workflows to increase productivity and efficiency. •Improve efficiency of field services with online tools. 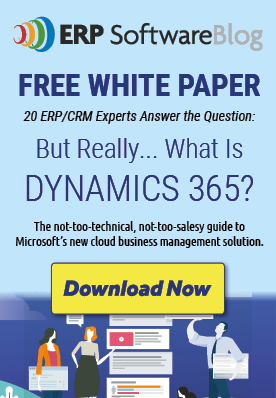 So, why choose Microsoft Dynamics GP or CRM? • It's familiar to your people. It looks the same and works the same as other Microsoft products including Microsoft Office, so it's familiar to many people, ensuring faster adoption, reducing training time, and accelerating ROI. • Its role–tailored user experience enables your people to easily perform tasks and access information relevant to them. • It offers workflows to eliminate manual, inefficient processes. Moving forward while the rest of the world seems to be standing still isn’t just possible, it’s a great strategy.